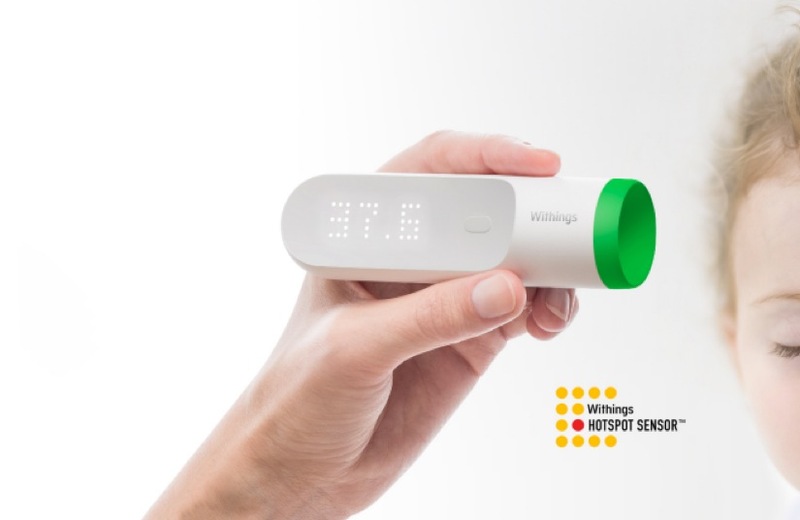 Withings has a new connected thermometer, which doesn’t even need to sit under your tongue to get a good reading. Withings says the Thermo can take 4,000 measurements in as little as two seconds, just by pointing it at the direction of your temple. A specially designed algorithm corrects for biases like skin temperature and ambient conditions (a hot or cold room, for instance). A dedicated app gathers your info via Wi-Fi or Bluetooth, and can manage multiple users. You can also self-report symptoms, or log what medications you’re taking. The app also allows for notifications, should parents want to keep close tabs on kids. The Withings Thermo will be available in Q1 2016 for £79.95 (around $120).